Welcome fellow human. 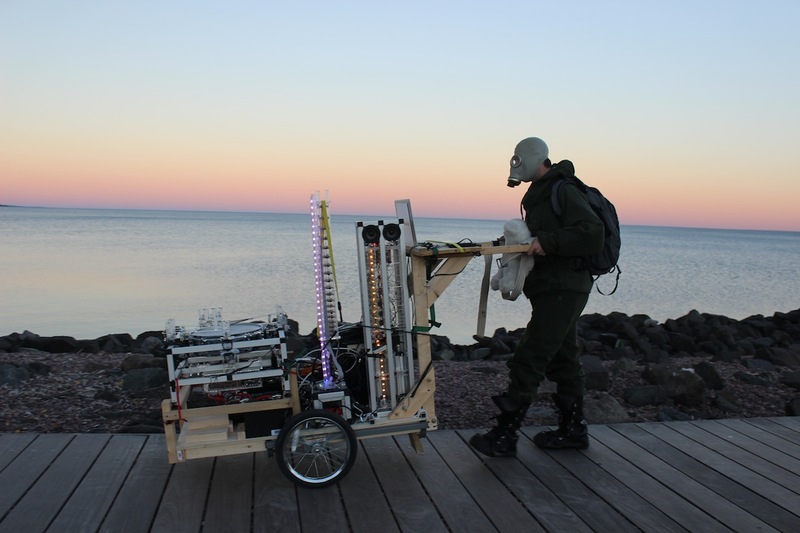 I create music, robotic musical instruments, installations, and performances from my home base on the shores of Lake Superior in Duluth, MN. Except when I’m out doing my thing as a semi-nomadic robot herder. While you’re here, why not check out some of my projects. Or listen to music, or check out some instruments. This site is a very much a work in progress; stay tuned for updates on forthcoming performances, recordings, workshops, instruments, etc. I’ll also be adding archives of past projects as time allows. To book a performance, workshop, or lecture; or commission a composition, installation, or instrument; or to find out where to send vast quantities of cash, materials, equipment, etc., get in touch.